Thanks for Professor Urs Gasser's invitation. I am allowed to sit in his course of "Online Law and Business in a Globalized Economy" at Harvard Law School, and get an opportunity to present some understanding to Chinese websites. Because of the limited time slot, I just partly introduced the slides in the class. Therefore, here is a more comprehensive version for those who are interested in. Hillary Clinton said that "We stand for a single Internet where all of humanity has equal access to knowledge and ideas." I love this vision, but it is not a truth of the Internet. It is untrue not only because the dicky openness of a specific network may be destroyed abruptly (The Internet access in Xinjiang, a northwest region in China three times bigger than Califonia, was simply cut out over 6 months after the mob riot and bloody fight between nationalities), but also because the essence of the Internet: It is inter-net, the Network of Networks. It can be described as an information transmission/communication network composed of many autonomous systems. ARPANET, MILNET, Cyclades (France) and NPL (UK) formed the first generation of the Internet (see the video). More autonomous systems then have been setup and joined the Internet - They joined the Internet by accepting the TCP/IP and other protocols. But this does not mean that they have the same policy on the authority to access and the attitude to the network security. Similiarly, I name the concept of "Cinternet" to the autonomous network in China. It could be isolated from the other parts of the Internet infrastructurally, linguistically, politically and even culturally. Recently, the trend of such isolation seems jumped from the level of technological blocking to the level of institutional denying. Contrast to Hillary's vision, this seems to be an existence, no matter "bad" or "good". It is there. Google announced that it will not go on filtering the results of web search because it's E-mail service is attacked. The logic is not that straight forward, but it works at least on emphasizing the not evil slogan. In my view, it is not only the said attacking, but also the anxiety of the culture shock lead Google's activities. Google is still using its American imagination: fight or obedient, agree or disagree. Let's back to the business. Google's anxiety in China (as well as Yahoo! 's leaving) may be reasoned by the wrongful understanding to Chinese netizens' demands and surfing usage, which reflect the Chinese culture and social structure. 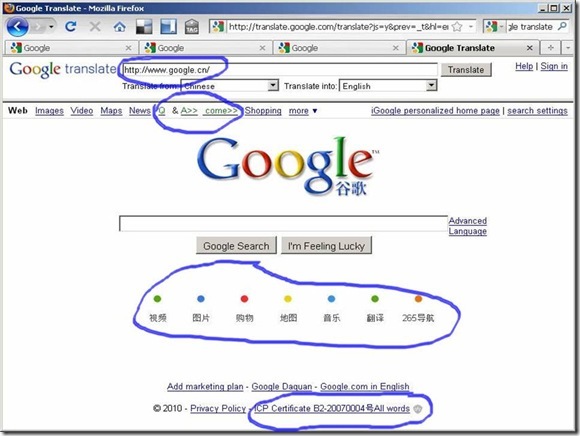 Besides the advantage of focusing on the Chinese search engine, Baidu has the totally differenct philosophy from Google. Baidu runs pay for placement service (if you pay for some keywords, your link will be among the first few items of the search result of those keywords, with an "Ads" symbol), while google earns money mainly from Adsense (An Ads system automatically match the page). Baidu provides PostBar and MP3 dowloading as its killer applications, whereas Google develops its applications around the E-mail service (including Gtalk and Wave), which is the core of the US netizens' online life. Google can hire people who understand Chinese culture. But with the strong value oriented mission setting atomosphere, Google's headquater obviously often conflicted with its Chinese management team. The result is: Chinese Google (Google.cn) is separated from Google's world, not because of the gov's censorship, but because of the misunderstanding on what is a good, attractive and sustainable web service for Chinese customers. I wish the following websites may be helpful for understanding the unique enviroment of "Cinternet". The first one is Tianya.cn. Tianya is the most popular and most crowded online forum in China. It's traffic is ranked No. 90 in the world (Alexa). Click here for more. (1) It has a huge group of volunteer forum-board masters who are in charge of deleting/hiding the defamatory, dissenting and - most specially - inappropriate posts. The board masters are mostly the famous IDs (in many cases most of users don't know who the people is in real world), they are famous and reliable only because of their reputation established in Tianya. (2) The un-deletable and un-editable mechanism. No one can delete/edit his/her own posts at the forum boards, even a board master can only manage the posts at his/her board - as a user in other boards, he can do nothing but posting new threads as a normal user. (3) If users think a board master is not appropriate, they may leave the complaint at the manage board - and if those complaints are reasonable, the higher webmaster may decide to suspend the board master's authority - just like the mechanism of "petition" in China's real life. (4) Look at that strucutre map again. It's "separation of the power" looks very like the actual life in China. Now this is QQ.com. QQ.com is ranked the world 11th website on the matter of traffics (remember, the traffic among the QQ clients are not counted in). Contrary to Google's matrix based on search engine and E-mail, QQ's world is based on Instant Message. It is a close system, not providing open API. Taobao is not a Chinese Ebay. On the contrary, Ebay's Chinese branch has been defeated by Taobao. See the above comparision. Alipay, Taobao's payment tool, archieved over 1.2 billion RMB (171 million USD) of the value of transactions per day on Dec 7th 2009, among its over 200 million users. Named after a spice used in Szechuan cooking, Douban allows Chinese consumers to share, tag and browse through one another's collection of books, music, and movies. Douban's biggest distinction from the SNS (like facebook) is: it is not a real-name network. Therefore, it is mainly not for social and personal networking, but for public expression. Besides the review tab in each item's pages, users can also establish groups and invite others join. There are thousands of groups and thousands of entries are posted every day. Because most users are in anonymous, discussions are very interest-oriented and open-hearted. The above is a conclusion to the features of successful websites in China. Practcially speaking, these might be useful for those who wish to invest their money and energy into the Internet industry in China. Back again to the overall abstract discussion, the world might be flatted by emergence of the Internet, but when more and more parts of this convergence of pink, blue, black or bloody world involve themselves into the Internet, the basic feature of the inter-net as a network of various autonomous systems may be at least continue to be a existence, if not a growing trend, in the new decade. And, with all due desire to the open and equal access to the Internet, I still doubt that the vision of a "single" Internet that believe people must love facebook, twitter and Google wave could be a realist approach to archive that aim. iPad is coming ... Even in the same culture and society, Apple's world can be so distinct from the PC's world (they both connected into the Internet). Imaging how big distinction of the Cinternet's could be. As Google's abrupt leaving from China, the splitting of the Internet seems faster and faster. I think the following ten websites can lead observers understanding the Chinese Internet. All of them survived China's censorship, and are developing rapidly. Compare to the websites that has been blocked (that I listed on Wednesday here), they are the real main stream for the over 400 million Chinese netizens. First of all, They are all in Chinese, and seldom provide multi-language service. This might be the obstacle for the English speaking researchers, but it can also be regarded as the first typical character of Chinese website - not because of the censorship, but because of the population. The formation of a separate "Sub-internet" needs a big enough population. There are many great blogs and websites reporting Chinese Internet (Cinternet hereinafter), such as Danwei, Shanghainist, Gokunming, etc. But if one wants to understand the trend of Cinternet, the following websites, as well as a little Chinese, plus some translation tools are necessary. In my view, when we are talking about the Cinternet, the targets should be the "plain" websites, not those pioneer ones. Each of the following websites is crowded with millions of users, and all of them survived the censorship and/or self-censorship. The core/column of the Cinternet should be based on them but not those obviously unsurvivable ones. For example, a research to Chinese bloggers should focus on not only the independent or even blocked bloggers, but also the mainstream in those highly controlled blog services. The top website in China according to Alexa in Jan. 2010. And it has almost all kinds of web application including blog (blog.qq.com), game (qqgame.qq.com), news, sns (qzone.qq.com), search engine (soso.com), micro-blog, C2C (www.paipai.com), and most importantly, Instant Message (im.QQ.com). Almost each Chinese netizen has a QQ number. the number of the accounts has exceeded 900 million in 2007, and the active users were over 400 millions in 2008. Then they only publish the number of concurrent online users - this number exceeds 80 millions on Oct. 10th 2009, and exceeded 90 millions two months later. This is a diagram of the concurrent online users of QQ on 5 December 2009. The communication among them are not cacluated by the Alexa. Baidu is a search engine service provider. 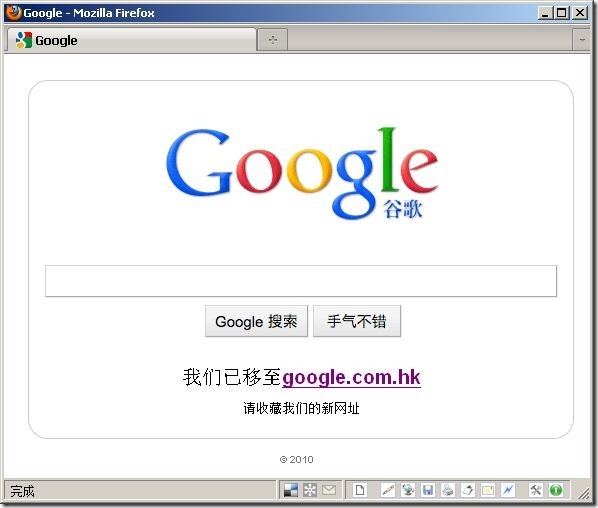 Just like Google, it provides many other services like blog (hi.baidu.com). However, the core of baidu is still the web search. It enforces strict artificial intervention to the search result. However, most of Chinese users still take baidu as their first choice. One of the reasons is: Chinese users are more familiar to Baidu's way of locating Chinese knowledge. A unique SNS different from facebook style, grow rapidly in last two years. 60 Million users up to December 2009 (15 million active users per day). The aim of 2010 is over 100 million. A competitor of KaiXin001 is RenRen.com (Alexa China: 14; world 93). RenRen is the ealiest SNS in China, and it duplicated Facebook's mode. 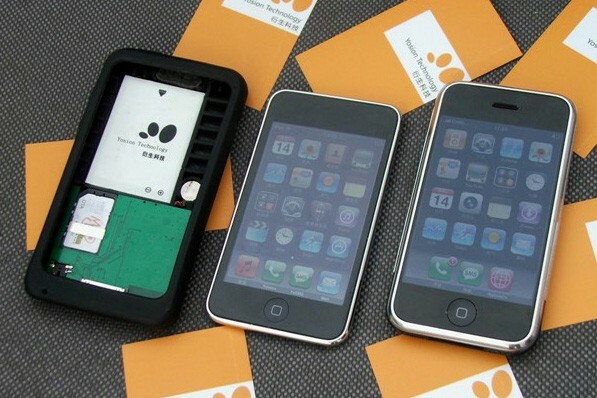 However, that approach can not compete kaixin001 on the matters of authenticity and the user stickiness. The unique website that I cannot find the similiar website in English web sphere. It launched an English version but suspended. Some reported that its accounts exceeded 30 million by the end of Dec. 2009 (the number of account by Sept. 2009 was just 10 million). The founder of this website denied it is a SNS. Douban is the most successful Chinese Web 2.0 website. It is a very typical UGC website that the users generate almost all contents in the website. Without the interfere of the government, douban may be one of the promising websites in the ahead 5 years. The famous C2C or B2C E-commerce website, together with alipay.com (the online payment leader in China - Alexa China: 32; world: 267) and alibaba (B2B website - Alexa China: 25; world: 109), consist the giant of the E-commerce in China. The most crowded Chinese BBS community in the world. With the traditional form of web forum, this website focuses and enlarge hottest news and topics every day. For those focused threads, it is very easy to have more than 100 thousands replies in one day. Based on its downloading software (Xunlei), Xunlei become the king of the dowloading in China. It declares only providing copyright-free resources, while since Xunlei software is a searchable, unified format "P2SP" software, one may find many copyright-doubtable resources on it. However, forget the copyright, Xunlei is very efficient and can be one of the successful practicers of the "cloud" concept. Sina has been among the top ten Chinese websites for a decade. It is the traditional portal style. Checking the Internet archive of Sina ten years ago here, you will find that the style of the first page of sina had not changed so much. It is a typical obedient private owned website that follows the orders of the regime. As for the future of the Cinternet, observers are suggested to watch sina's blog channel and the micro-blog channel (t.sina.com.cn). Youdao is the search engine developed by Netease (163.com - Alexa China:7, world:27). It seems paid more attention to the web 2.0 applications and the relevant page arrangement. It has the personalized first page like iGoogle. Netease has other products like 126.com E-mail service (Alexa China:27, world:195). As an old website rise together with sina and sohu.com (Alexa China:8, world:43), Netease seems more willing to embrace the web 2.0. It is the only one opens the free API for the 3rd developers among the four biggest portal sites (QQ, sina, sohu and 163) in China. Hao123 is a simple static 1.0 style html page aggregated links of many websites. For geeks, it is stupid and like an antique, but it always stands at the top 30 websites of China. It is the home page of millions of browsers. It was acquired by Baidu in 2006. Baidu keeps it on the original way, even doesn't make it more customizable. These websites including the 2.0 oriented sites (douban, youdao) and very static web 1.0 homepage (hao123). While in my view, the main stream of the Cinternet is unique and can not be categorized with Web 1.0/2.0 . Here are the features that I roughly summarized at the current stage. (1) Accepting the 2.0 ideas, but making the user generated contents controllable. The latest example is t.sina.com.cn, it is launched in October and now become the top one among the micro-blog (as the matter of users' number) services. (2) Complying with Chinese culture - I am not saying censorship/dictatorship, but the culture. A typical example can be the comparision between reren.com and kaixin001.com. (3) One website provides integrated services, but very few websites provide open API. (4) IM driven. Other than the E-mail driven culture in English cyberspace, the Cinternet is and will still be an IM driven culture. People contact with QQ numbers everywhere. Besides QQ, Taobao has its IM too, and has made being the hub of all the Taobao's e-commerce applications; sina, baidu, netease and China-Mobile all provide their IM services, but non of them are inter-communicable. This is just a simple illustration. There must be more features. Here I am actually discussing the appropriate approach to stuy the Chinese web sphere.